At the Animal Clinic of Billings, we believe that a sound preventive health care regimen is the easiest and most effective way to keep your dog healthy and happy. Many canine diseases are easily preventable and most can be effectively treated and cured if detected early enough. 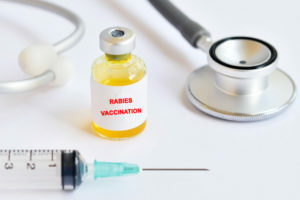 However, if allowed to develop and progress unchecked, many diseases can quickly become difficult and expensive to treat, and in some cases incurable. 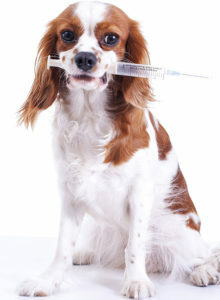 Therefore, we strongly encourage every dog owner to take a proactive approach to preventive care. 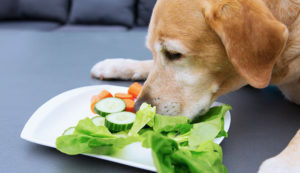 Many clients are afraid or embarrassed to discuss what they feed their dog with a veterinarian. 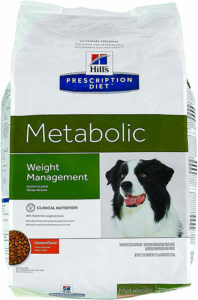 You should always be open and honest with your veterinarian about what you are actually feeding your dog. We are happy to discuss any supplements or treats you may be using and it will help us have a complete picture of your dog’s health. This is a great topic for discussion that can allow us to partner with you and take a team approach to optimizing your dog’s health. 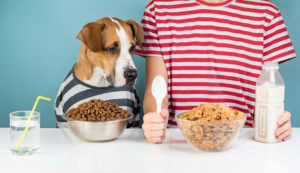 Some of your people food may even be a great addition to your dog’s diet. However, let us help you to determine the type and amount that is best. Your dog’s oral health is key for maintaining overall health. Dental disease is generally gradual and dogs adjust to living with oral pain and will not show signs they are uncomfortable. It is difficult for owners to know when their dog has dental disease or oral pain. For this reason, an important part of the physical exam is an oral exam. During this part of the exam, we will look at the teeth, tongue and oral cavity. The unfortunate reality is that periodontal disease affects most dogs by age 4-5. This is why periodic and thorough dental care is essential to your dog’s overall health. A thorough oral cleaning is something you should trust to your veterinarian every 6-12 months, but brushing can be performed on your canine companion in the comfort of your home. You can also help facilitate good dog health by providing toys and treats formulated to help strengthen and/or clean your dog’s teeth and gums. Fleas and ticks are a great nuisance to your dog and family. These pesky insects cause discomfort and can carry disease to your dog and possibly to your family. 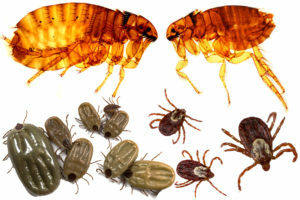 While these parasites are common, it is our goal that your pet never has to experiences the irritation fleas and ticks cause. We can work with you to set up a preventive plan to avoid infestation of your pet and your home. We will help to customize a plan for your dog based upon the dog’s lifestyle, number and type of pets in the household. There are so many flea and tick products on the market. They are not all created equal and some are not effective and even dangerous. Our doctors and staff are very knowledgeable about these parasites and the best way to prevent them. Part of the annual physical exam is developing and managing the best flea and tick treatment plan for your dog. 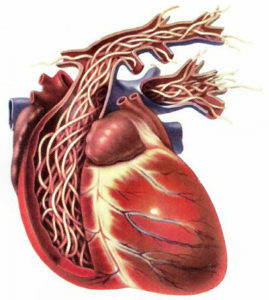 Heartworm is another very important core of the preventative healthcare for all dogs. Heartworm is a deadly but completely and easily preventable disease. Heartworms spread through dogs via bites from infected mosquitos. Living in Montana, mosquitoes are present throughout the spring, summer and early fall months. For this reason, we recommend prevention protocols starting in April through the end of October. One of the greatest joys in life is having a cuddly, cute puppy to have and hold, but it can also be stressful for people who are unsure of how to properly care for a puppy. It is important for you come to see us as soon as you get your puppy so we can set you on the right path as soon as possible both with preventive care and puppy training. Plan to spend at least one hour in your first visit. During this first visit we will give your puppy a complete physical exam, update all necessary vaccines, provide deworming medication and spend time educating you on your puppy’s needs.